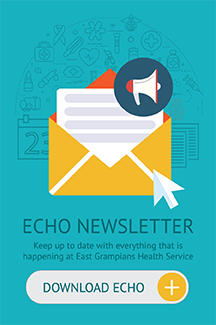 The Ararat Rockers are regular donors to the East Grampians Health Service Oncology Unit and in 2018 members again made a generous donation. Ararat Rockers’ members Ann Hodgson and Daniel Schwab presented a cheque for $520 to EGHS oncologist Dr Craig Carden and Chief Executive Andrew Freeman, proceeds from a rock and roll dance held last year. The dance attracted 140 dancers from across the state and even as far afield as South Australia and New South Wales. Proceeds donated to the oncology unit are from the dance and raffle, with all prizes donated by generous Ararat and Stawell businesses. 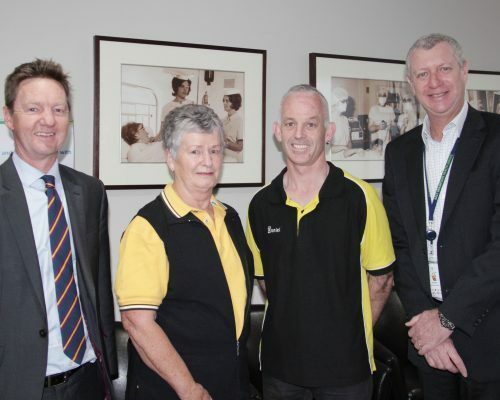 “On behalf of the EGHS Board, staff and oncology patients I would like to thank members of the Ararat Rockers for their generous donation,” EGHS chief executive Andrew Freeman said. “The donation will go towards the purchase of chairs for our valued support people in the Oncology Unit.